Hank Marvin Market in St Kilda East invites your family to enjoy Melbourne's largest foodie event to celebrate burgers over Cup Weekend. Burgers? Yes, that's right! Eighteen burger vendors from across Melbourne including Sliders on Tyres, Fancy Hank’s BBQ Joint, Cool Bean Kitchen and Beatbox Kitchen will set up at Hank Marvin's usual hang out, Alma Park East on Monday 31 October from 11am to 9pm. Yes that's a full day of feasting on your favourite burgers. Vegetarian? No problem. Before you worry yourselves that the Big Burger Biannual Event is not catering for your needs, think again. Vegetarian options are indeed on the menu, plus there's crepes, desserts, cookies and more. 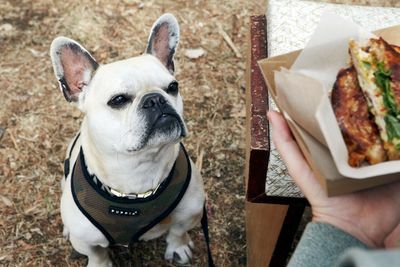 No need to leave your pooches at home either, the Canine Wellness truck will serve up burgers for your fur-friends! 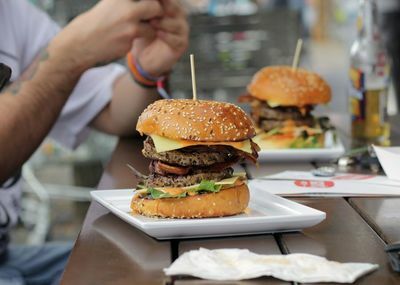 The 2016 Big Burger Biannual Event will be the first of a twice-a-year activity, with the next one scheduled for March-April 2017 as part of the Melbourne Food and Wine Festival. Bring the kids, and enjoy a day of burger filling fun in St Kilda East this Cup Weekend.